This topic contains 0 replies, has 1 voice, and was last updated by Ron Mc 1 month ago. 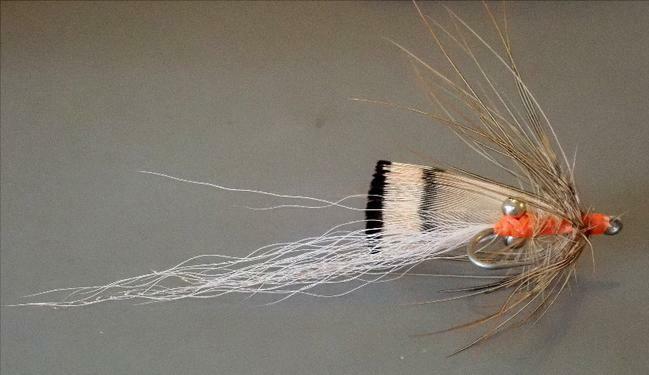 For a decade when I began salt fly fishing, tried at my vise to imitate the action of a kicking shrimp. 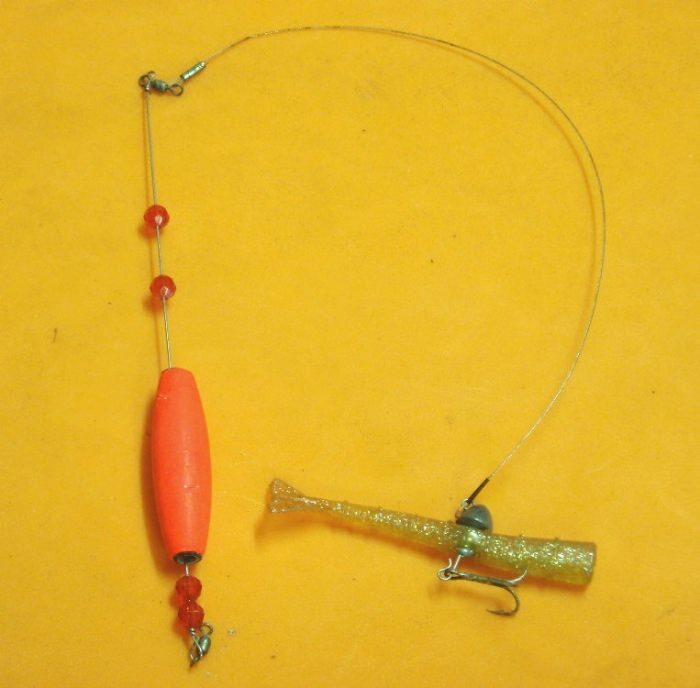 Aside from grabbing shrimp in the bait bucket, the idea came from fishing this Stazo rig on a bait rod. A shrimp kicks with its tail, and slowly glides down, swimming with its legs. The action of stripping a fly line naturally imitates the shrimp kick, but most fly patterns out there look like photos of static shrimp. 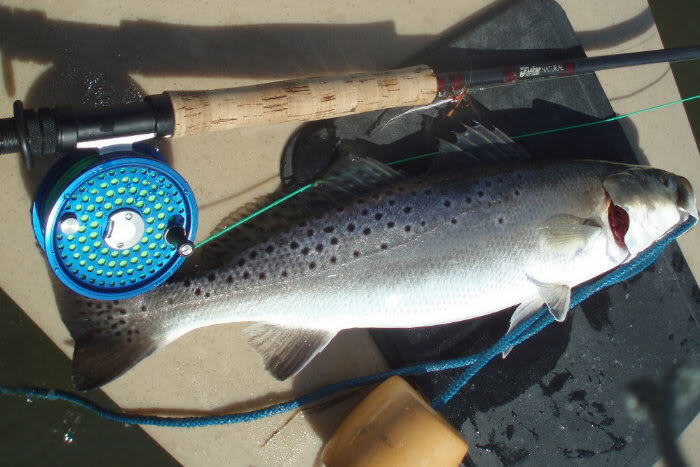 Some of my early attempts caught fish, but when I saw Ally’s shrimp salmon fly, its use of pheasant crest for shrimp tail, rooster hackle for shape, and soft hackle for shell, everything clicked. 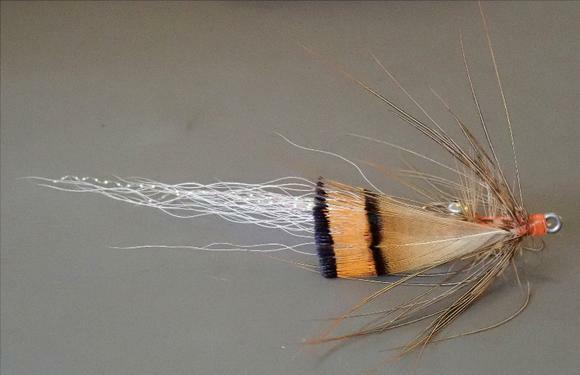 Instead of the symmetric salmon fly, I keeled my fly with bead chain, and put the two pheasant crest feathers on the same side of the hook. The result is probably the silliest-looking fly ever, but with incredible kicking shrimp action. 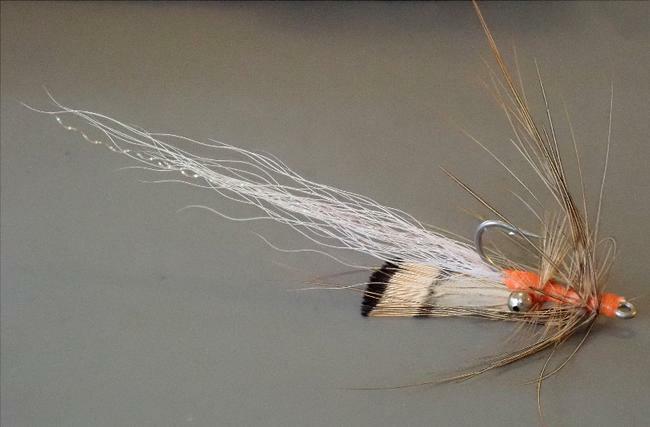 It works for generic crustacean thingy, and probably just as well for baitfish – it floats down like a spoon and is as crabby as it is shrimpy – again, I built this fly for action after a decade of trying different ideas for kicking shrimp. The bead chain also clicks and whistles on the strip. My kicking shrimp has become my go-to fly in the salt, and has caught everything from sheepshead on the flats to king mackerel in jetty blackwater. Second cast of the morning to jumping shrimp in the back of Allyn’s lake – first cast was a larger spec that tore the hook out on her second run. 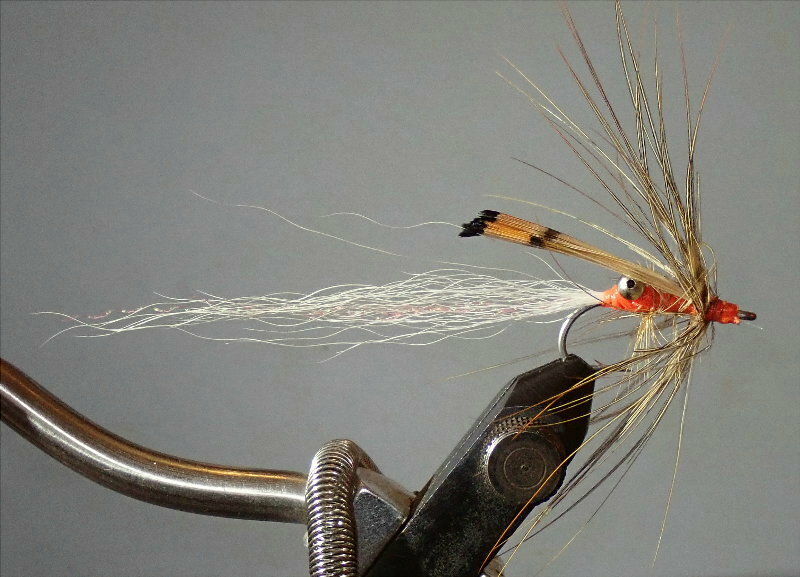 Pheasant tail fibers have been used for trout flies forever, and fly shops used to give away the patch of pheasant rump that came along with the long tail feathers. Also, the whole pheasant skin without the long tail feathers, used to be available very cheaply, about $3. 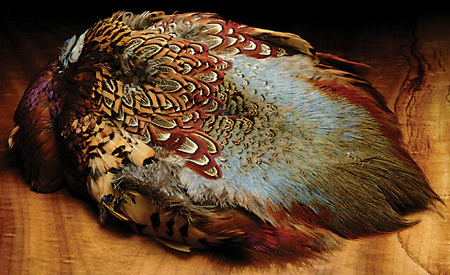 But now that people have figured out the large soft hackle has many uses, cost of a pheasant skin with crest is about $14.